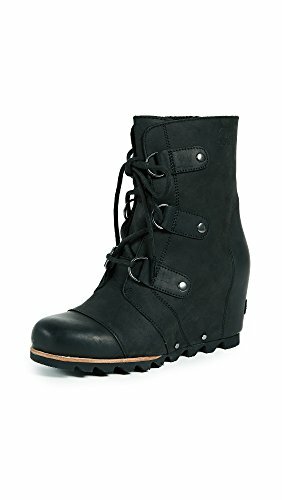 A covered wedge heel adds height to military-inspired Sorel boots. Lace-up closure and unlined interior. Chunky lug sole.